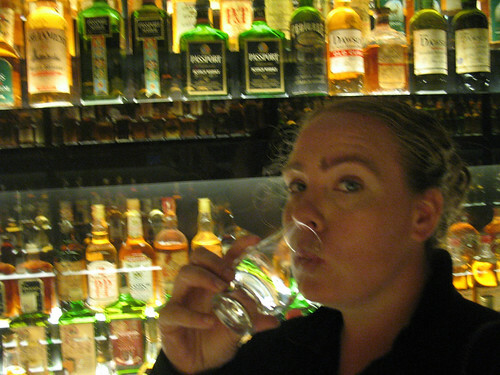 After two Londoners both told me I HAD to do a Highlands tour while in the UK, I figured I'd better heed their advice and book one. As I was looking through my photos trying to narrow down the few that I actually wanted to post, I realized how breathtaking the whole trip was. 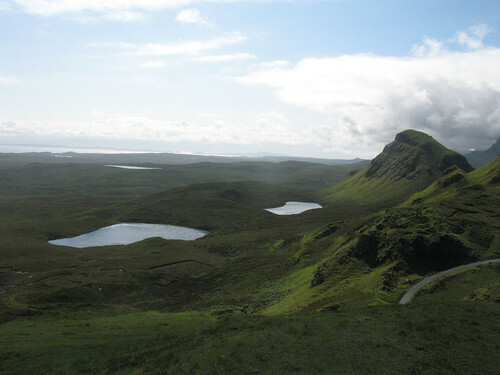 There are two main features that really stood out in the highlands and the Isle of Skye. First, the castles. They are all built into the natural landscape. The history that goes along with them is always interesting, and a big reason why I'd rather pay more for a tour than rent a car myself. Second, I love being on the island and seeing the distant islands. After the first day driving up to Skye, I was expecting a cloudy mystique, but the sun came out for the last two days of the tour. This was the view outside my B&B in the morning. 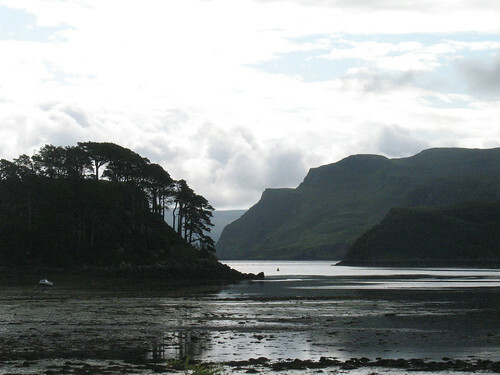 We stayed in the town of Portree, which is little more than some B&Bs, seafood restaurants and gift shops. 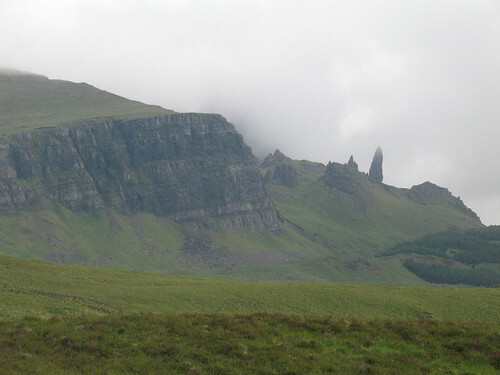 The Old Man of Storr. I was disappointed we didn't climb up there, but it was cool seeing it shrouded in clouds. View from the Quraing mountains. 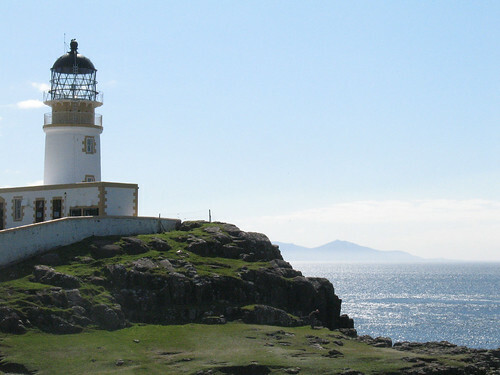 Lighthouse at the very edge of Skye. I have a million pictures I could post of the ocean with the mountains in the background, but as I've always been partial to lighthouses, I chose this one. 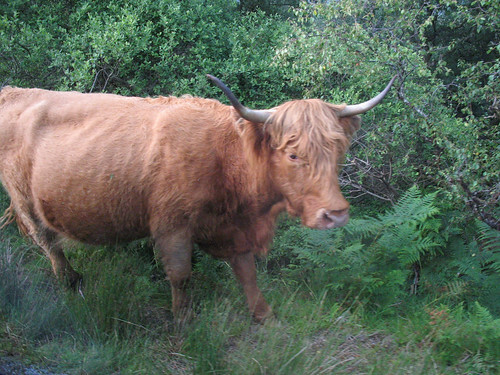 A highland cow on the side of the road. Just for the record, though, it's pronounced "heeland coo". Eilean Donan castle. This is the most photographed castle in Scotland, and I'm sure I contributed significantly to the count as I sorted through 30 or so pictures in an attempt to decide which to upload. 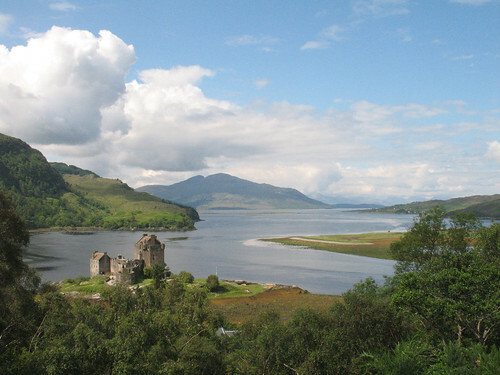 I don't love this picture, but I didn't get any really good ones and HAD to post a picture of Loch Ness. 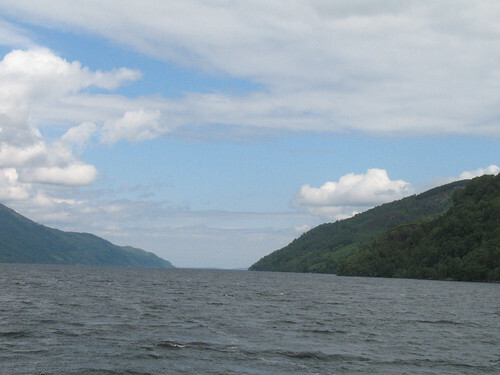 I didn't see Nessie, but being on the big lake (all the water from all the other lakes in England and Scotland combined could fit in Loch Ness) and seeing the black water (from all the peat runoff) gave me some insight into why there is so much folklore around Loch Ness. After three days exploring nature, it was time to head back to the beautiful city of Edinburgh. 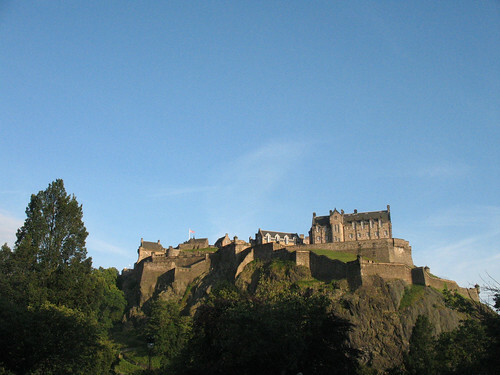 Edinburgh Castle is the focal point of the city, and the reason the city is even here. The high hill presented a perfect place to set up a defense against the English, and over time, the city grew around it. 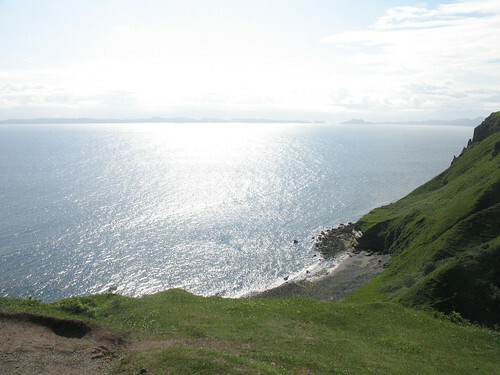 Okay, so I wore down... Just had to post another photo of the Skye coastline. Skye looks like a perfect place for retirement. Everything seems so peaceful and gorgeous. Looking at these pictures is really relaxing. This is great place to get away from the crowd.